September | 2013 | Mommy. Foodie. Athlete. Figs have been on sale as the summer produce season is coming to an end. I had a bunch in the fridge that I’d hate to see go bad, so why not experiment a bit?! Well, I sure am glad that I did, because this was DELICIOUS! 1. In a medium bowl, whisk together balsamic, olive oil, vanilla, wine, honey, thyme, and salt and pepper to taste. 2. 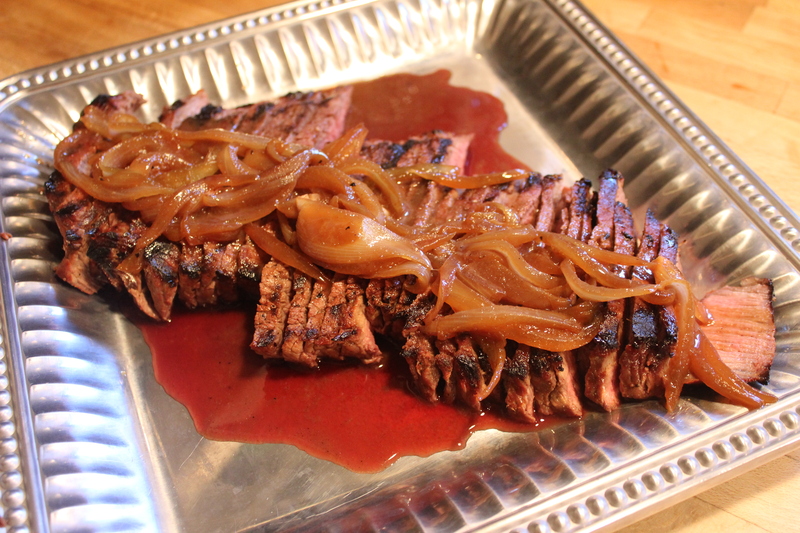 In a large ziplock bag, place the London broil, onions, and marinade. Seal and refrigerate for at least 3 hours. 3. When ready to cook, preheat grill to medium high. 4. Remove onions from bag and sauté over high heat until they begin to brown. Add figs, and cook for 5 more minutes. Add remaining marinade and reduce to a simmer while you cook the beef. 5. Grill London broil for 7 minuted per side for medium rare. Remove from grill and cover with foil for 3-5 minutes. 6. 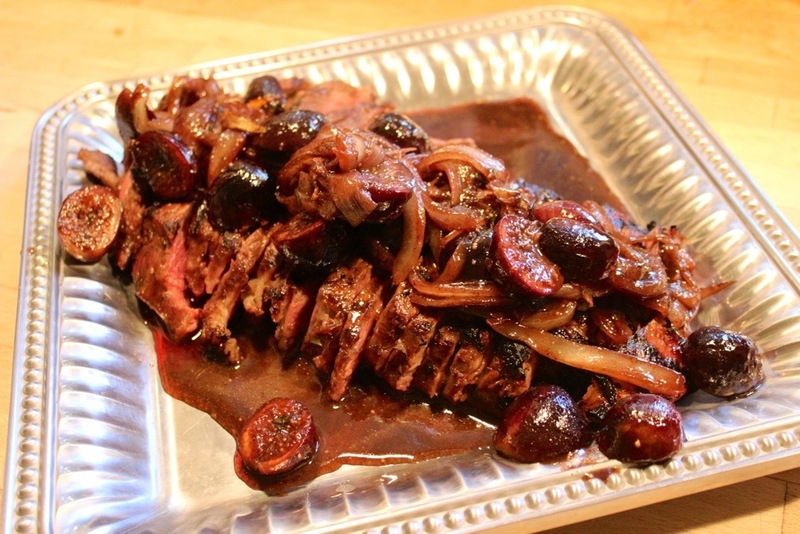 Thinly slice the London broil and pour fig reduction over. When you have delicious flavors, there is no need for the actual taco! When choosing your fish, go with whatever white filet of fish is on sale! Tilapia or flounder would be perfect! 1. In a large pan, heat 1 tablespoon of olive oil over medium heat. Add garlic and onion, and sauté until fragrant. Add peppers, corn, lime juice, and 1 Tbsp. Cajun seasoning. stir and allow to cook for 5 minutes. 2. While the veggies are cooking, coat the fish filets with the remaining Cajun seasoning. Heat 1 tablespoon of olive oil over high heat in a non stick frying pan. Cooke the fish until blackened on both sides – approximately 2 minutes per side. 3. 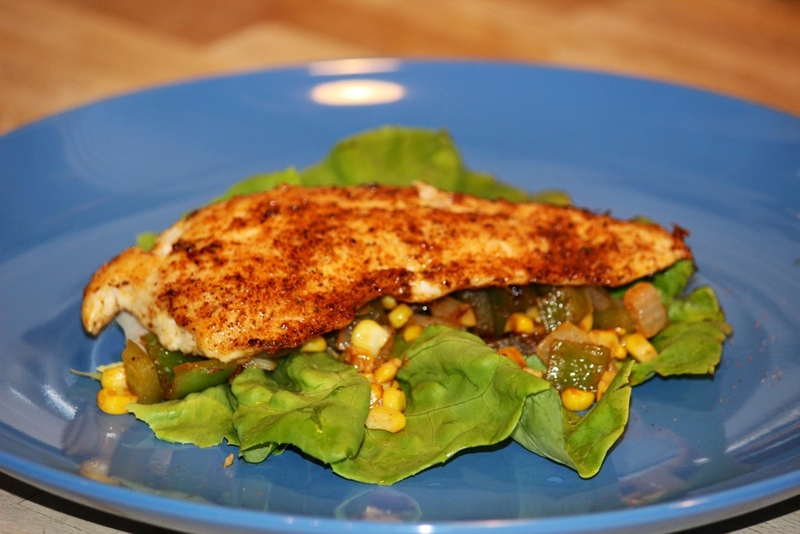 Serve with large pieces of lettuce and mounds of veggies with each filet. A childhood favorite of mins was always “teriyaki steak”, which my mom would serve over a bed of rice topped with a delicious onion teriyaki steak sauce. This was my first attempt at making something like she used to make, and it turned out great! Make extra so you have leftovers! 1. In a small bowl, whisk together the teriyaki, olive oil, and garlic powder. 2. In a ziplock bag, place the London broil and onions. Pour the teriyaki mixture over, seal, and refrigerate for at least 3 hours. 3. When ready to cook, preheat the grill to medium heat. Remove only the meat and grill for 8 minutes per side. 4. While the meat is cooking, pour the remaining marinade Nd onions into a sauce pan and bring to a boil. Allow to reduce while the meat cooks. 5. Upon removing the London broil from the grill, cover with foil for at least 3 minutes before slicing to retain juices. 6. Slice London broil thinly and pour marinade reduction over.